Who says things aren’t speeding up? In my garden, hawthorn berries red as can be by the end of July. On Peckham Rye, I noticed fallen conkers before August was out. 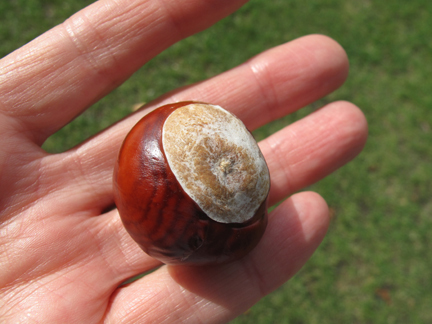 One day I stooped to (pick up a) conker. This entry was posted in Peckham, Photography, Writing and tagged autumn, conkers, Peckham Rye, she stoops to conquer, things speeding up. Bookmark the permalink.